In 2011, the import duty on cars was modified slightly to encourage the purchase of vehicles with lower CO2 emissions. While the incentive is probably too small in practice to create the needed change, it is helping to embed the mindset that our increasing production of greenhouse gases is a bad thing. Unfortunately this has had no impact on our decision-makers when it comes to electricity production. For them, CO2 emissions are irrelevant because the predominant factors are cost and security of supply. Coal then has a clear advantage over petroleum products, making collateral damage of electric vehicles as their effective CO2 emissions from coal-fired electricity exceed those of a speeding Aston Martin. Surely if there are concerns about the future cost and security of supply of fuels for electricity production then are not these concerns relevant for transport too? China is well aware of this and with most of its new electricity production being coal-fired, it is also subsidising an electric car industry to reduce its dependence on imported petroleum products. Conversely, in the EU, where there is greater concern about CO2 emissions, over 70% of new electricity capacity in 2011 came from zero emission renewable sources. Consistent with this, most European nations are providing direct subsidies for the purchase of electric vehicles. If Mauritius is really concerned about reducing CO2 emissions from vehicles then why is it not promoting alternative fuels? Brazil has long had laws and incentives to promote vehicles that can use a variable mix of petrol and ethanol. How many such flexi-fuel cars do we have on our streets despite significant ethanol production capacity? This assumes of course that ethanol distillation uses waste heat rather than directly burning coal. Even if bagasse is used, this simply means that coal will have to replace it for electricity production. What about green citizens who are willing to install their own wind turbines and solar panels to charge their electric vehicles? Or those who are prepared to only use them during the sugar cropping season when coal is largely replaced by bagasse for producing electricity? Should they be penalised because the average CO2 emissions for electricity production is relatively high in our country through no fault of their own? Is it possible to improve our electricity production to both increase our security of supply and reduce emissions? We could and should follow Europe by installing more capacity based on renewable energy, initially concentrating on wind turbines until the price of solar panels declines and they become more competitive. We are told that there is a relatively low limit to what our electricity network can cope with because both wind and sunshine are variable resources. These are the same voices who are advocating for more coal which, compared to the CEB’s more flexible oil-fired generators will lower that limit further. There is a simple solution. We can grow a high yield energy crop like Giant King Grass on abandoned sugarcane fields and convert it into synthetic diesel for the CEB’s generators or methane gas for even more flexible electricity production. 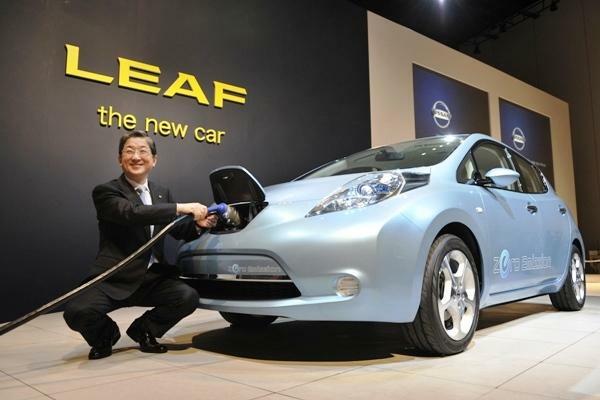 With an indigenous source of low emission energy, the promotion of electric vehicles makes incontrovertible sense. It will take time to change the preferences of the population, but without incentives, which car dealers will take the risk of importing future electric vehicles into the country? The decision-makers for electricity generation and those who influence us to make better choices about transport seem stuck on different, highly inconsistent pages. Is it not time they reached consensus and turned over a new leaf?